Ideal for use in long grass or to tackle tough weeds. 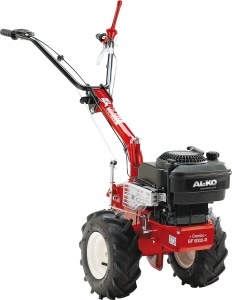 The AL-KO BM 875 III has an 87 cm cutting width and is powered by a 2.4 kW, 190 cc Briggs & Stratton engine, making it ideal for use in wild gardens or meadows. This machine benefits from specially hardened ESM blades that have infinitely height-adjustable outsoles. 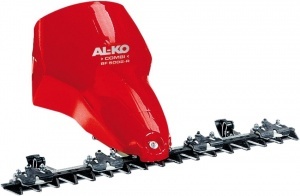 This allows you to work through tough vegetation without having to worry about the quality of the blade. The mower mechanism also has an enclosed drive system, reducing the chance of contamination to prolong operating time and service life. Topped off by the Briggs & Stratton Series 625 engine, you can expect excellent power from such a reliable brand. You can rest assured that the handlebar height is adjustable to ensure the perfect working position. It is also ergonomically shaped and benefits from vibration damping technology. The adjustable nature of the handlebar makes storage and transport easier. Backed up by its robust design and intelligent features, the BM 875 III can tackle tough, matted weeds as well as long grass. With a movable grass deflector, no grass will be left lying on the cover, and grass depositing is improved with a shorter distance between wheel and beam. The large, pneumatic tyres help to improve handling on rough terrain. A 102 cm cutting width scythe mower, designed for tackling tall grass and thick matted weeds in high-grass meadows and ecological natural gardens. With a movable deflector and robust design. 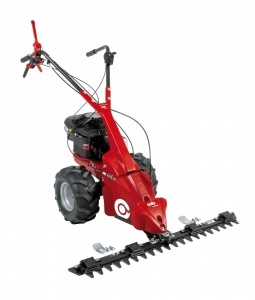 A Briggs & Stratton-powered two wheel tractor compatible with a range of accessories from a snow plough to a mower. With one forward and one reverse gear, it is an easy unit to handle. 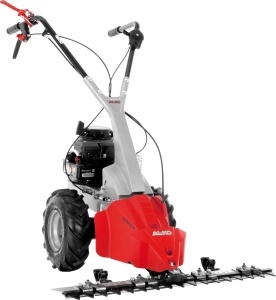 If you are looking for a robust and versatile mower to tackle natural gardens with taller grass or meadows that may have thick and matted weeds, this 87 cm cut scythe mower from AL-KO could be the perfect solution. Designed to be used with the AL-KO BF 5002-R Combi tool, this scythe attachment has a working width of 870 mm and is intended for dealing with high grass or thick weeds in gardens and meadows.